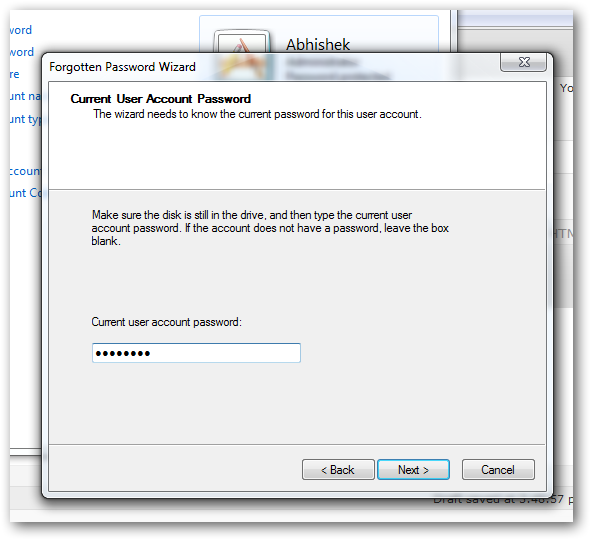 Creating a password reset disk is the first step to reset your lost password in Microsoft Windows 7. To protect personal data, it is advisable to use a password for any account. It also provides protection against the hackers.Windows 7 and Vista, it is possible to create a password reset disk, so that in case of trouble, the user can access session (lost password, password not recognized etc) . The recording of information recovery password, is a UFD. Note: Click on the screenshots to enlarge them after the page load is complete and a border appears around the screenshots. Connect the USB flash drive (USB). 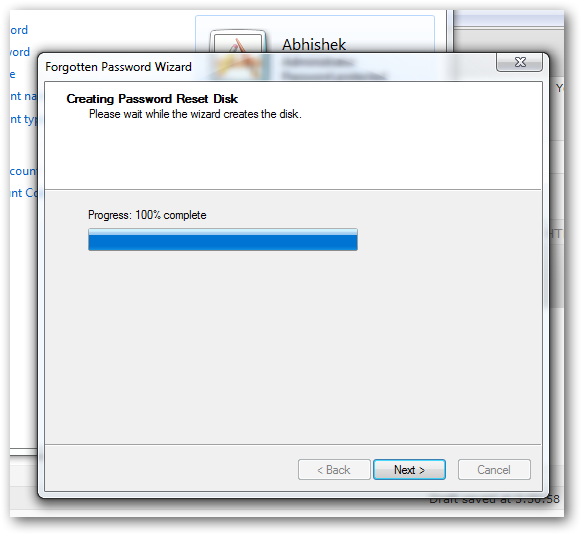 Click Finish in next window and your password reset disk is created. Check in Explorer, on the UFD, whether a file named userkey.psw is present. Put this disc in a safe place to recover password. 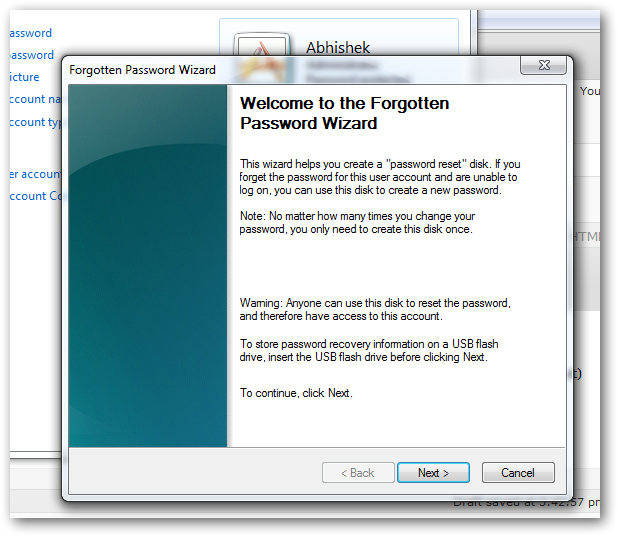 In case of loss of password or the password is not recognized, it will be possible to reset the password in the logon screen in Microsoft Windows 7. 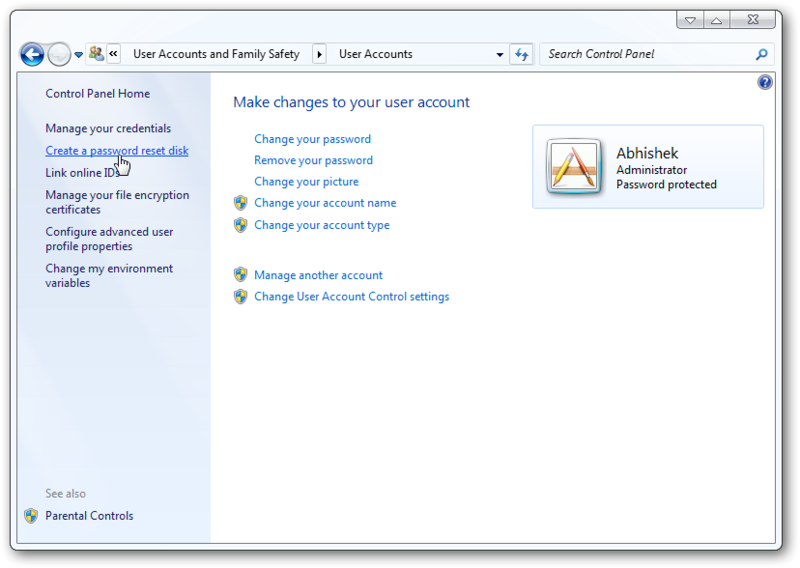 Just follow this tutorial on how to reset user account password in Windows 7 with a password reset disk. This Article Has Been Shared 7217 Times! In Windows 7,the boot process loads the animation of Windows 7,where four out of light that together make up the Windows logo.Stop this animation to boot faster. The default iTunes download page gives link to download 32 bit of Apple iTunes for Windows PC.This article describes from where you can get the 64 bit of Apple iTunes for Windows PC (including Windows 7). 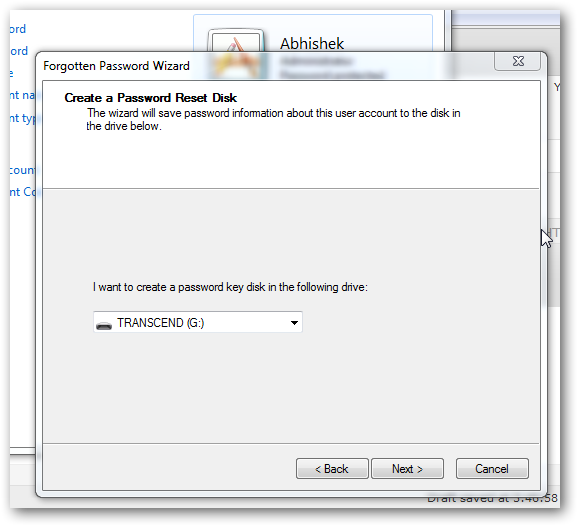 Cite this article as: Abhishek Ghosh, "How to create a password reset disk in Windows 7," in The Customize Windows, November 26, 2010, April 25, 2019, https://thecustomizewindows.com/2010/11/how-to-create-a-password-reset-disk-in-windows-7/.